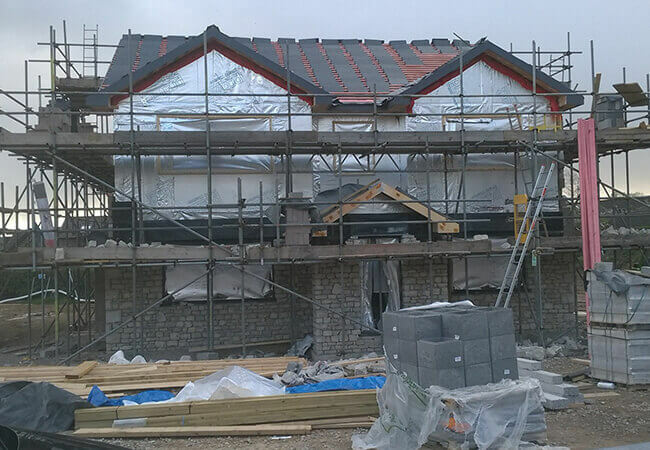 Even for compliance with Building Regulations there is a need to control leakage and draughts from the newbuild – that is an obvious route to energy efficiency. But the minimum requirements are set very low compared with the excellence easily achieved with timberframe or SIPs superstructures. But at the lower energy levels that can be targeted with these build systems there is an increasing requirement for even less air leakage. The measure for this is the amount of air escaping from any part of the building envelope, per hour, under an uplifted internal pressure created by pumping fresh air into a building (with the windows shut). 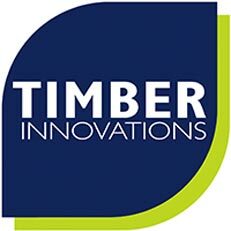 Air-tightness packages are therefore an additional offering from Timber Innovations to ensure sealing the thermal envelope (external walls and roof) is integrated with details at junctions with the foundation slab as well as windows and doors. It is always a whole-house consideration, and relates to interface details. 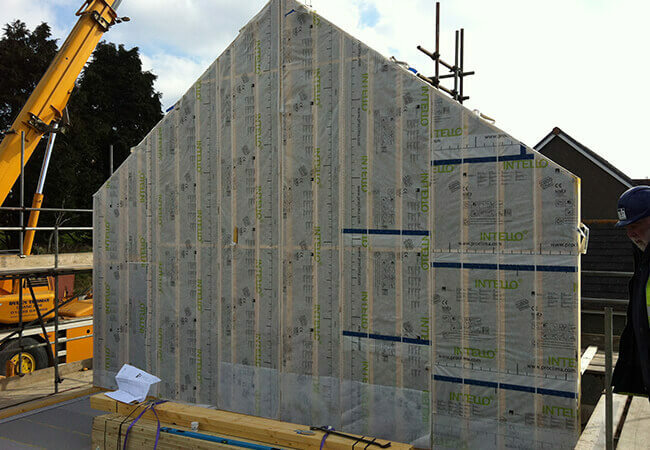 We can offer advice on the details, the materials and the execution of these works. 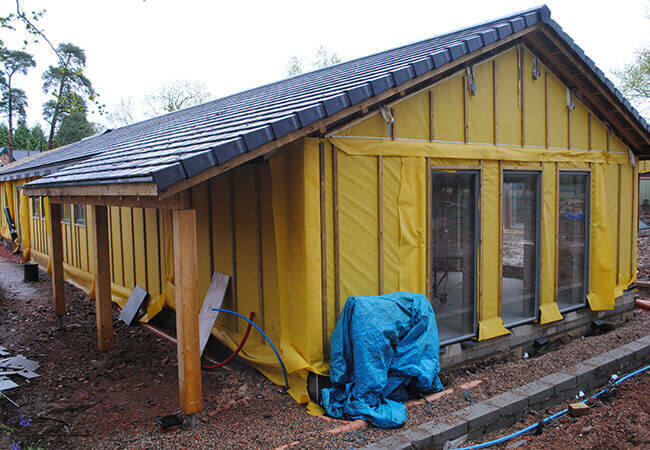 Much has been said in the selfbuild sector about PassivHaus levels of performance, and as providers of buildings to this exceptional level of thermal efficiency and air-tightness, we can be practical and pragmatic about the advice – and targets to be achieved.